It’s the Independence Day week and it’s time to get out the orange, green and white nail polishes😊. Nail art can be inspired by something that is being celebrated. And what better than being inspired by our national flag to celebrate Independence Day in a more patriotic way. August 7, 2016 August 13, 2017 Categories Lifestyle5 Comments on INDEPENDENT INDIA, INDEPENDENT MIND. 70 years ago, India stood strong and declared its rights to be a free and independent country. The country attained freedom following an Independence Movement which mainly centred nonviolent resistance and civil disobedience. Since the 18th century the British East India Company established a firm foundation of dominance over the Indian subcontinent. Regardless of the fierce military strength against them a few brave men chose to stand tall and defend their mother land. While many tried violent and revolting ways to deal with the oppression of the British. A single man with a golden thought of fighting without complying delivered us Indians towards independence in 1947, one of the greatest achievements in history. Till this very date on the 15th of august, seeing the national flag being hoisted, moves me from within. It makes me think of the vigour and strength that dwelt among those men who fought and layed down their lives, to fulfil their vision of being freed so that their children and the coming generation can live in peace in their home land. On this very day as we pay homage to our national leaders and incredible men, an important question which always crops up; did we do justice to their dream by looking at India today? Or did their fight, loss of precious life go in vain? Continue reading ➞ INDEPENDENT INDIA, INDEPENDENT MIND. A few of my favorite things- Body Shop haul! 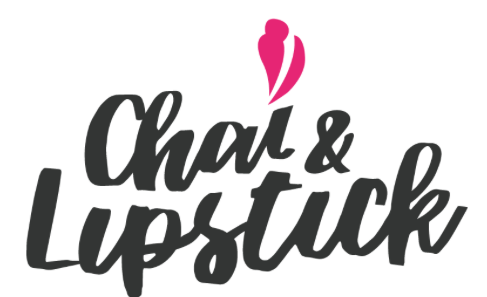 August 1, 2016 November 12, 2016 Categories beautyLeave a Comment on A few of my favorite things- Body Shop haul! A few days back I woke up to a bunch of goodies that arrived, I recieved my much awaited order from the Body Shop and have been dying to write about it ever since! Its July and it’s raining sales, so I thought why not order some of my favourites from my favorite skincare brand! I am so excited to finally share with you my Body Shop haul. Continue reading ➞ A few of my favorite things- Body Shop haul! The sun is finally out and so are the parties and fun events! Following our previous Selfie themed articles, I decided to do a selfie-themed post on skin care for you to help you look at your best in all those special moment captures. Filters are genius, but what if we could just be confident and show off our skin without the need of filters in photos wouldn’t that be just great? I want to share a few tips with you so that you can prepare your skin the night before your big event, party or just any other occasion where you know you will face the camera! Let’s get our skin SELFIE-READY! The Crazy Color hair trend is going stronger than ever in 2016. Rainbow hair, Colombré, Mermaid hair and even Glittercolor hair are flooding social media. So today I wanted to write to girls with dark hair like me who would so love to get this done but are either afraid that it won’t suit them or dont know if they really can get these pretty colors to show on their dark hair. Read on to see and relive my hair transformation, I’ll tell you everything you need to know about getting into the mermaid hair color trend. 4 Ways to Reinvent your White Tee!! July 14, 2016 November 12, 2016 Categories Fashion1 Comment on 4 Ways to Reinvent your White Tee!! Clothes are my passion and true love.. It never fails to bring the twinkle in my eyes. My wardrobe is full of colours, different styles and not forgetting innovation. I believe every individual can define themselves with the way they dress. ‘Experimentation’ is my mantra. Fashion is all about adding spice, This is my first blog post and I thought about writing about something as simple as “a White Tshirt” a basic but indispensable piece of clothing in our wardrobe, but sometimes it can get a little tricky to style something as simple as this.So, today I am going to show you some simple ways to dressup your white tee to make it look more trendy, more fashionable and you won’t believe how much you going to enjoy styling this little piece in different ways! Continue reading ➞ 4 Ways to Reinvent your White Tee! !